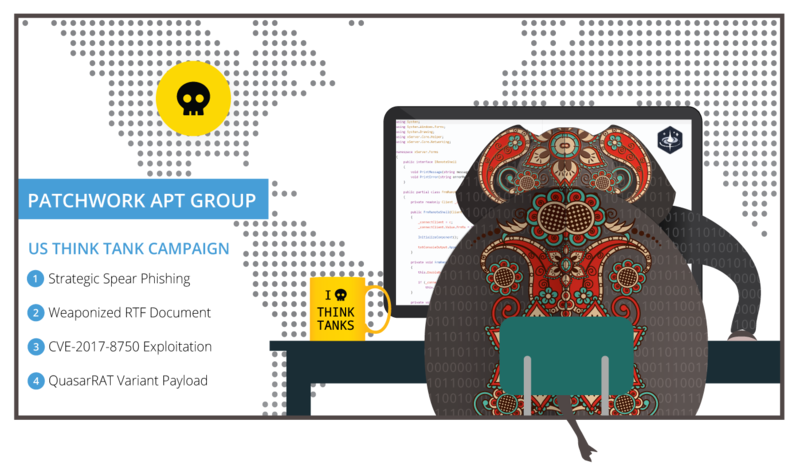 In March and April 2018, Volexity identified multiple spear phishing campaigns attributed to Patchwork, an Indian APT group also known as Dropping Elephant. This increase in threat activity was consistent with other observations documented over the last few months in blogs by 360 Threat Intelligence Center analyzing attacks on Chinese organizations and Trend Micro noting targets in South Asia. From the attacks observed by Volexity, what is most notable is that Patchwork has pivoted its targeting and has launched attacks directly against US-based think tanks. Volexity has also found that, in addition to sending malware lures, the Patchwork threat actors are leveraging unique tracking links in their e-mails for the purpose of identifying which recipients opened their e-mail messages. In three observed spear phishing campaigns, the threat actors leveraged domains and themes mimicking those of well-known think tank organizations in the United States. 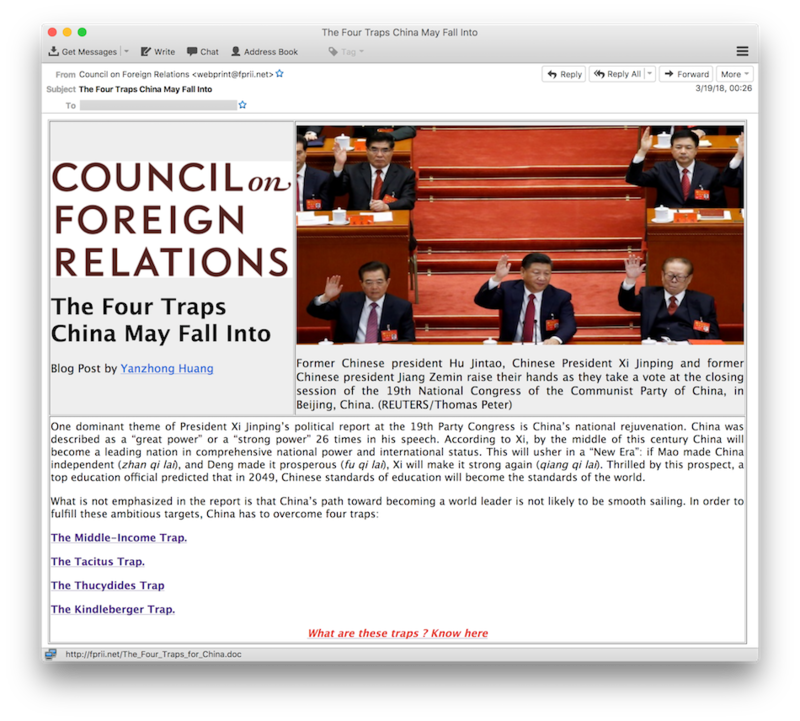 The group lifted articles and themes from the Council on Foreign Relations (CFR), the Center for Strategic and International Studies (CSIS), and the Mercator Institute for China Studies (MERICS) for use in their spear phishing lures and malicious Rich Text Format (RTF) documents. Strangely, in one case, the threat actors also appear to have used a domain name similar to the Foreign Policy Research Institute (FPRI) in a message purporting to be from CFR. Each of the spear phishing attacks contained links to .doc files, which were really RTF documents that attempt to exploit CVE-2017-8570 (Composite Moniker). The threat actors appear to have leveraged publicly available exploit code that can be found on Github at the URL: https://github.com/rxwx/CVE-2017-8570. If the exploit is successful, the threat actors will attempt to drop and execute QuasarRAT. Details of the malware and the associated attacks are listed below. Each e-mail was sent from the attacker-controlled domain mailcenter.support. This domain was not only used to send the phishing e-mails, but also to track which targets opened the e-mail. Within each of the HTML-formatted messages, an embedded image tag is used to beacon home to the attacker’s domain, containing an unique identifier specific to the recipient. While the use of e-mail recipient tracking, a linked RTF document, and a final payload (QuasarRAT variant) remained the same, certain elements differed across campaigns observed. Details on each of the messages are listed below. The chinapolicyanalysis.org domain was used as the sender address, as well as the hosting location of the malicious RTF document. The fprii.net domain was used as the sender address, as well as the hosting location of the malicious RTF document. The structure of the domain mimics the Foreign Policy Research Institute (FPRI), whose actual domain is fpri.net. The mericcs.org domain was used as the sender address, as well as the hosting location of the malicious RTF document. 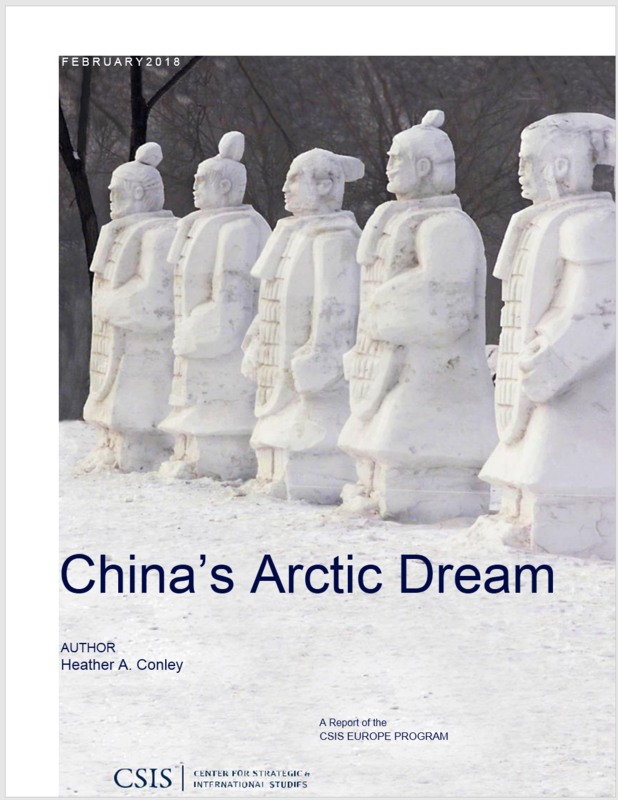 The structure of the domain mimics the Mercator Institute for China Studies (MERICS), whose actual domain is merics.org. The image below shows an example of how the spear phishing message would look to a recipient. The images below are what a target user opening a malicious RTF document would see from within Microsoft Word. When the malicious RTF document is opened, two things happen that allow the attacker malware to run. First, the “packager trick” is leveraged in order to embed the initial QuasarRAT dropper (qrat.exe) in the malicious RTF document. Its called the “packager trick” because any file embedded in an RTF file using packager will be automatically dropped to the %tmp% folder (c:\Users\%username%\AppData\Local\Temp) when the RTF document is opened. Second, the threat actors exploit CVE-2017-8570 to achieve code execution via a malicious “scriptlet” file, or .sct file, which is also embedded in the malicious RTF document. The contents of the malicious scriptlet file (displayed below) clearly show the threat actor executing the initial “qrat.exe” dropper from the current user’s %tmp% directory. Note: The scriptlet code is an exact match to that shown on the Github page referenced earlier for CVE-2017-8570. The string “fjzmpcjvqp” is unique and not something likely to be present if the code was not generated with the same public POC exploit code. After the initial dropper (qrat.exe) has been executed by the embedded scriptlet, it creates a directory in C:\Users\%username%\AppData\Roaming\Microsoft Network\microsoft_network\1.0.0.0 and unpacks/drops the final QuasarRAT binary named microsoft_network.exe. The malware also contains an embedded .NET wrapper DLL for creating and managing scheduled tasks on Windows systems. The file, named Microsoft.Win32.TaskScheduler.dll, is digitally signed by a certificate from AirVPN. This DLL is used to create a scheduled task that points to the QuasarRAT binary, microsoft_network.exe, allowing it to remain persistent after reboot. As seen in the image above, the QuasarRAT scheduled task is named Microsoft_Security_Task and runs at 12:00 AM each day. Once the task is triggered, it will then repeat every 5 minutes for 60 days. When executed, microsoft_network.exe will initiate a request to freegeoip.net in order to determine the geographical location of the infected host. Immediately following the request, the malware will begin to beacon over an encrypted connection to the threat actor’s command and control domain tautiaos.com (43.249.37.199). Several related samples were identified and are included in the File Indicators section below. 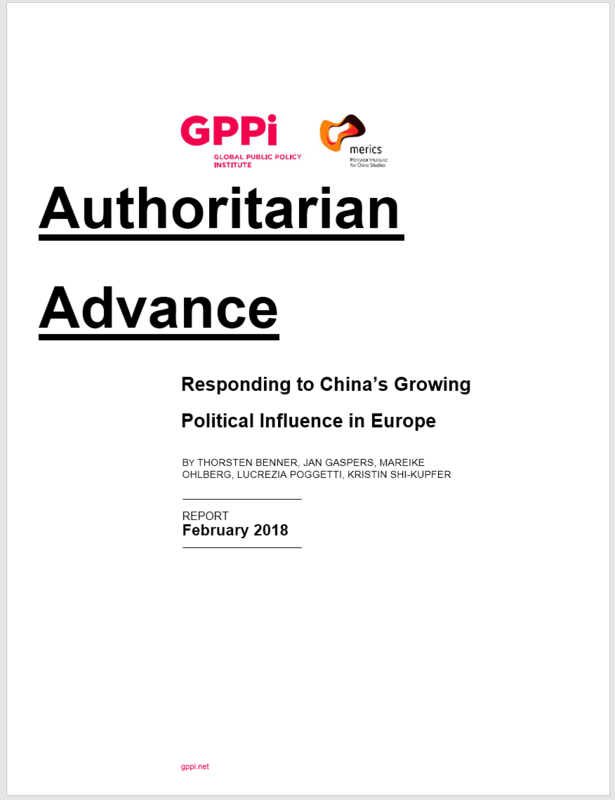 The addition of US-based think tanks to the list of organizations in the crosshairs of Patchwork shows an increasing diversity in the geographic regions being targeted. While there were a few peculiar components to some of the spear phish messages, the campaigns and themes were strategically relevant to the organizations being targeted. The Patchwork threat actors also appear to have adopted a technique seen from other APT groups where they are now tracking the effectiveness of their campaigns by recording which recipients have opened the phishing message. This information allows a threat actor to determine if their messages were delivered, which users are more susceptible to opening them, and basic information regarding the target’s operating system and e-mail client (or browser). Finally, although the payload observed being delivered by Patchwork in these campaigns is a readily available open source RAT, it does allow for flexibility in interacting with compromised machines without needing to use custom malware. Volexity is actively tracking this group and the infrastructure currently in use for the benefit of its network security monitoring and threat intelligence customers. Malicious RTF document that exploits CVE-2017-8570 and drops QuasarRAT file qrat.exe. Dropper that installs QuasarRAT file microsoft_network.exe and scheduled task wrapper file Microsoft.Win32.TaskScheduler.dll. .NET Task Scheduler Managed Wrapper from https://github.com/dahall/taskschedule. 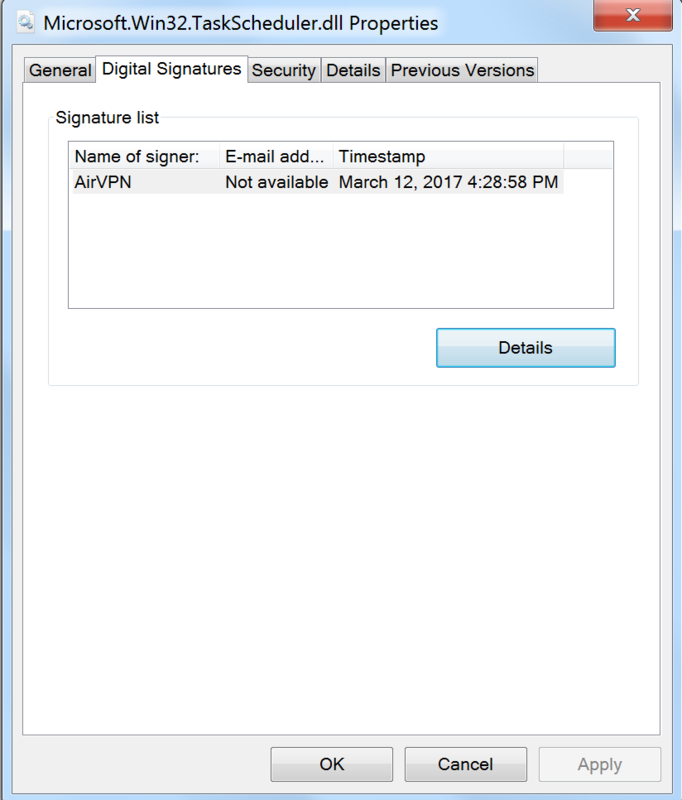 The DLL is also digitally signed by a certificate from “AirVPN”. Malicious RTF document that exploits CVE-2017-8570 and drops a Delphi RAT with the file name vsrss.exe. Malicious RTF document that exploits CVE-2017-8570 and drops QuasarRAT file qrat.exe. This is the same file described above. Malicious RTF document that exploits CVE-2017-8570 and drops QuasarRAT file mico-audio.exe. Upon execution it will be installed under the filename crome.exe. Delphi RAT file that beacons to ebeijingcn.live. QuasarRAT binary that beacons to hardcoded IP 209.58.176.201 and domain sastind-cn.org. File starts as mico-audio.exe and installs to C:\Users\%USERNAME%\AppData\Roaming\google-chrome\crome.exe. mailcenter.support 221.121.138.139 Domain used to for sending spear phishes and user tracking. chinapolicyanalysis.org 185.130.212.168 Domain used for spear phish sender e-mail address and to host malicious documents. fprii.net 185.130.212.254 Domain used for spear phish sender e-mail address and to host malicious documents. mericcs.org 221.121.138.141 Domain used for spear phish sender e-mail address and to host malicious documents. tautiaos.com 43.249.37.199 Command and control server observed from QuasarRAT malware. sastind-cn.org 209.58.176.201 Command and control server observed from QuasarRAT malware. ebeijingcn.live 209.58.169.91 Command and control server observed from Delphi RAT malware.